Maximum sport performance for everyday street conditions without making sacrifices on tyre life or safety. 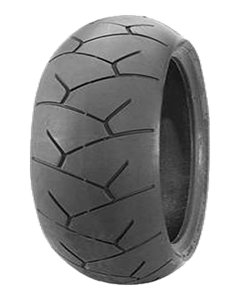 The Bridgestone Battlax BT-012 is designed for today's hypersport motorcycles. Maximum and constant contact pressure at all lean angles, improving both grip and handling. The front tyre ensures excellent handling in the wet whilst the aggressive rear patterns offers reassuring traction in corners. Advanced silica compound gives exceptional grip on both dry and wet surface without sacrificing high-speed durability.